Home » Beauty » How do I take care of my skin in winter? How do I take care of my skin in winter? In winter it is very frequent that cold and wind dry the skin to a greater or lesser degree. In some cases even deep dehydration can occur. As the epidermis becomes more sensitive, special care must be provided. It is essential for the health of the skin to use the resources and treatments aimed at avoiding tension, irritation and dryness. 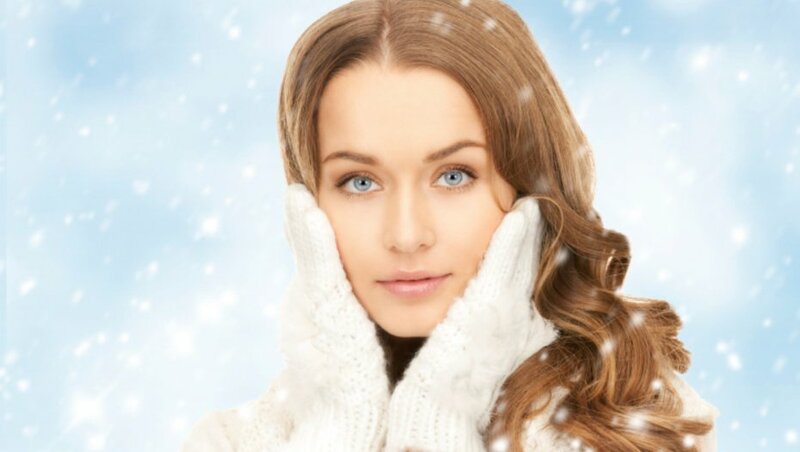 Here are 15 tips for flawless and radiant skin in cold weather. 1 – Clean the skin twice a day. At night before bed and in the morning. Cleansers that add moisture are advised. Do not forget to include neck and neckline in the daily routine. 2 – During the night, leave the treatment cream on. The one indicated by the specialist. 3 – During the day, use moisturizing and moisturizing cream. The humectants fulfill the function of barrier. Currently many of the day creams have also incorporated some antioxidant such as vitamin E (tocopherol), C (ascorbic acid) or similar. These reduce the harmful effects of free radicals. Hyaluronic acid is one of the most powerful moisturizers, the particles help keep water in the skin (act as sponges that absorb water). Fill the fine lines, high brightness and brightness. 4 – It is important to use creams that form a film that allows normal breathing of the cells and prevents the evaporation of water. This favors the correct penetration of the active ingredients. Urea, fulfills this function and has the ability to prevent the loss of water through the skin. If a serum is applied during the day it must be complemented with another cream that acts as a barrier. 5 – Use sera at night. Unless the doctor indicates a specific treatment cream. The serums are ideal for the night because they have concentrated assets. With a few droplets, the neck and face areas are covered. Oil-free, they have quick action and deep repair. They have immediate embellishing effects, although the main mission is to treat the skin in the long term. 6 – Always apply sunscreen. Minimum SPF 30, even if it’s winter. Do not forget to apply in the exposed areas: hands, neck. If a skin exfoliation or laser treatment is being performed, the protection must be greater than 50+. 7 – Use creams and masks once a week. They comply with the purpose of preventing the dryness of the winter cold. 8 – Perform Peels. Winter is the ideal season to perform the strongest, without risk of staining. 9. – Use silicone makeup. They help to strengthen the skin barrier and prevent the cold or wind from damaging the epidermis. You can add a few drops of serum. 10 – Avoid exposure to heat from stoves and sudden changes in temperature. Especially people with a reddened face or a tendency to rosacea. 11 – Carry out hydration sessions. They are beneficial to maintain the moisture of the epidermis. 12 – Place humidifiers in the home. They maintain humidity and prevent the skin from drying out. 13 – Protect the eyelids. Apply anti-fatigue or antiaging serum or gel, according to each need (moisturize and / or reduce bags). 14 – Drink 2 liters of water per day. Contributes to keep the skin hydrated. 15 – Take care of the lips. Place cream or oil every night before going to sleep to prevent them from drying and cracking. Exfoliate them with an extra soft brush doing a very superficial massage. It can also be done with your fingers. Then apply plenty of cream to hydrate. To protect the lips can be used especially indicated substances, such as glycerin, elastin, collagen, silicones, shea butter, hyaluronic acid and vitamins A and E.
Previous Post What is the best skin care to prevent aging? Next Post What are the importance of Ayurvedic Beauty Care?